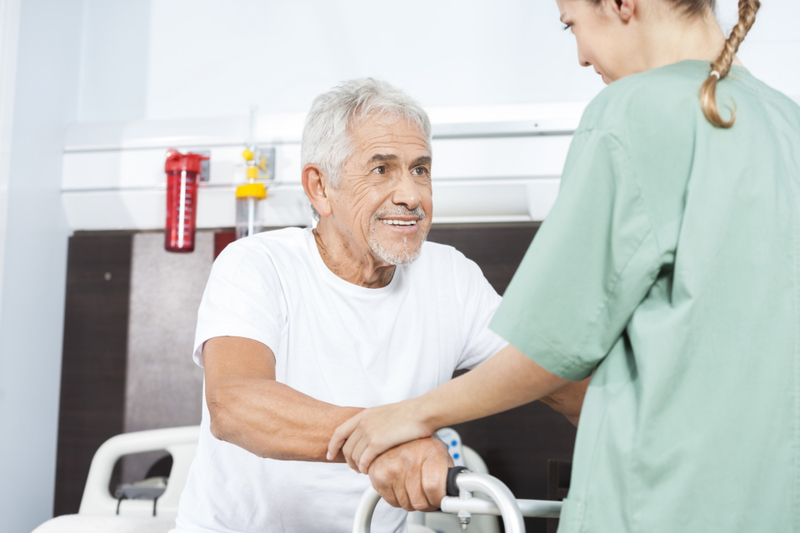 Caring for Elders with Brain Injury: The Understated Condition | West Coast Nursing Ventura, Inc.
One of the main causes of brain injuries among elders is experiencing a bad fall. 1 out of 3 seniors fall every year putting them into higher risks of traumatic brain injuries and all brain injuries can put you or your elders’ lives at risk in the future. West Coast Nursing Ventura, Inc., a quality provider of home health care in Hillcrest Drive Thousand Oaks CA, believes that it is very important to understand brain injuries, what to watch out for, and how you can prevent it or care for it. The most common brain injuries seniors often report about are usually classified as mild, moderate, or severe. There are many aspects that physicians take into consideration like whether the person was rendered unconscious, the intensity of the involved symptoms, and the duration of the episode. In most cases, brain injuries start off mild and not life-threatening but without the right care, it can lead to the development of lasting symptoms which increases your risks for several types of Dementia in the years to come. The most common symptoms of a brain injury include speech difficulties and cognitive problems. Seniors who have suffered brain injuries often also have vision and hearing coordination glitches and at times, may be unable to remember the injury. According to the Centers for Disease Control and Prevention, “individuals over the age of 65 have the highest rates of traumatic brain injury (TBI) related deaths and hospitalizations”. Moreover, more seniors are found out to have died due to lack of care from having CTE or chronic traumatic encephalopathy (CTE). Athletes and veterans are people who have suffered under repeated circumstances of traumatic brain injuries which put them into considerably higher risks for a newly classified condition known as the chronic traumatic encephalopathy (CTE). It is dubbed as the “punch-drunk syndrome” linked recently to any patient who had suffered repeated head injuries. CTE is a progressive disease which can lead to behavioral changes including aggression and depression. The onset of this condition includes symptoms such as erratic behavior, confusion, memory loss, problems in organizing one’s thoughts, and difficulty with balance. Also, you would easily notice the weakness and muscle coordination problems. What makes it really bad is because it can only be diagnosed after death. There are no tests for CTE and no treatment options; however, studies show that people who suffer symptoms of CTE usually benefit from similar care dementia patients have. Nevertheless, about 80,000 seniors need urgent care because of brain injuries where 75% of which need hospitalization. So, regardless of whether you are dealing with a minor concussion, it is critical to remain vigilant for the warning signs of brain injury. Do you know someone who has a history of head trauma due to sports, other activities, slips or falls? Tell us about it today! You can also call West Coast Nursing Ventura, Inc. today for more information on how we can your elders with quality home health care in Hillcrest Drive Thousand Oaks CA!